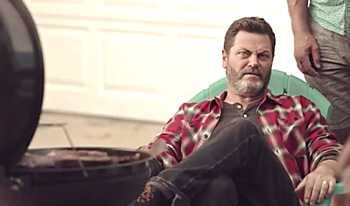 June 8, 2018 – HOUSTON, TX -- He’s well-known for his craftiness as the fictional city parks official Ron Swanson, star of the NBC-TV hit sitcom Parks and Recreation, and now actor Nick Offerman – a real-life woodworker and craftsman – will bring to life a new advertising campaign for J-B Weld® epoxy adhesive brand. The national TV campaign - the first in J-B Weld’s 50-year history – was created by the iconic advertising agency TBWA\Chiat\Day New York. 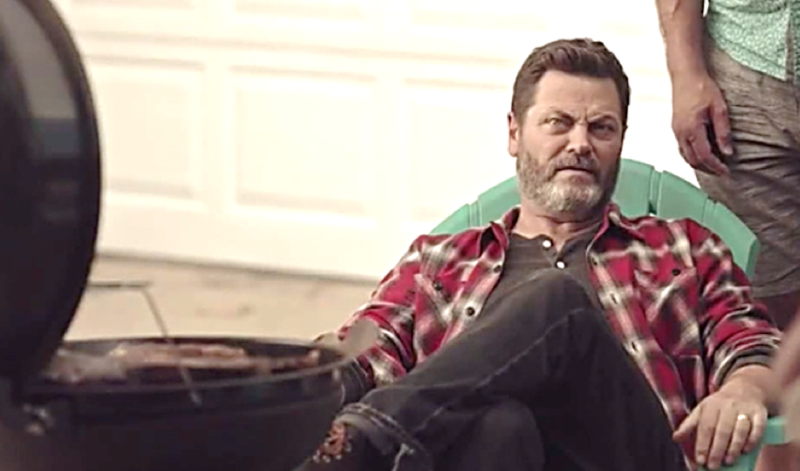 AdWeek’s coverage of the campaign – including links to some of the TV spots featuring Offerman – can be viewed here. The ads have been on air for just a few weeks and have already created a buzz. iSpotTV viewers rate the new J-B Weld TV spots with a 99% approval rating.